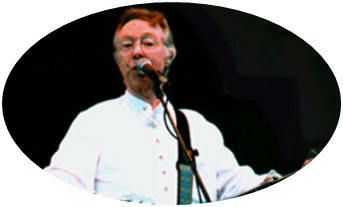 Four Green Fields is a 1967 folk song by Irish musician Tommy Makem. The song tells of an old woman who had four green fields; and how strangers tried to take them from her; and how her sons died trying to defend them. Its middle stanza is a moving description of the violence and deprivation experienced by the Irish, including the people in Northern Ireland (currently part of the UK), though the British are not explicitly identified (nor Saxons, nor Danes). At the end of the song, one of her fields remains out of her hands. The song is interpreted as a parable of the British colonization of Ireland and the current status of Northern Ireland. The four fields are the provinces of Ulster, regarded as the "field" that is still in British hands, Munster, Leinster and Connacht, and the old woman is a traditional personification of Ireland herself. Folk singer Tommy Makem is one part storyteller, one part musician, one part singer, and one part actor, so his live shows are usually quite lively and engaging, especially since he has spent more than five decades in folk music. A typical Makem concert involves traditional and contemporary Irish tunes performed on banjo and tin whistle, with a bit of background on each song's history as well. Makem was born and raised in Keady, County Armagh, Ireland, and got much of his musical education from his mother, Sarah Makem, herself a legendary folk singer and an ethnomusicologist before the term was coined. The songs Makem learned from his mother provided the foundation for his later efforts with the Clancy Brothers and his work as a duo with Liam Clancy. As a young man, Makem most wanted to become an actor, so he moved to New York in the mid-1950s. He began singing professionally in New York one night in 1956 when he was asked to sing at Greenwich Village's Circle in the Square Theater. After receiving $30 for singing just a few folk songs, he was hooked. Makem began hanging out with Pete Seeger and the other members of the Weavers in 1956, when he first saw them perform. In the late 1950s, Makem teamed up with Tom, Liam and Paddy (Patrick) Clancy to form the Clancy Brothers with Tommy Makem. The group made their professional debut at Circle in the Square Theater in the Village and was signed to Columbia Records by talent scout John Hammond in 1961. By then, folk music had come into fashion in a big way. Makem frequently shared festival bills with Seeger, Bob Dylan and other beacons of the acoustic movement. At the 1961 Newport Folk Festival, Makem and Joan Baez were chosen as the two most promising newcomers to the American folk music scene. After playing to sellout audiences at Carnegie Hall in the early 1960s, the Clancy Brothers with Tommy Makem made appearances through the 1960s on major TV shows like Ed Sullivan, The Tonight Show, Arthur Godfrey's Talent Scouts and other programs. Makem originals like "Four Green Fields," "Gentle Annie," "The Rambles of Spring," "The Winds Are Singing Freedom" and "Farewell to Carlingford" have since become Irish folk music standards, performed around the world. In 1975, realizing he was forever bumping into his old friend and partner Liam Clancy on the road, Makem and Clancy decided to pair up for a show in Cleveland, Ohio. The audience response was enough to convince both that they needed each other, and for the next dozen years the two often toured together. The pair earned platinum and gold records in Ireland. Makem died in Dover, New Hampshire following a lengthy battle with lung cancer. He continued to record and perform until very close to the end. Paying tribute to him after his death, Liam Clancy said, "He was my brother in every way." His sons Shane, Conor, and Rory ("The Makem Brothers") and nephew Tom Sweeney continue the family folk music tradition. He also had one daughter Katie Makem-Boucher and two grandchildren, Molly Dickerman and Robert Boucher. His wife, Mary predeceased him in 2001.